CACI International (NYSE: CACI) has received a potential five-year, $413M contract to provide support services for a ground-based technology platform the U.S. Army uses to process signals intelligence and fused intelligence data in real time. The company said Monday it will help the Army engineer SIGINT and communications systems of the military service’s Trojan Strong family of systems under the contract from the General Services Administration‘s Federal Systems Integration and Management Center. 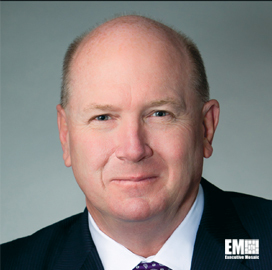 Ken Asbury, president and CEO at CACI and a five-time Wash100 winner, said the company seeks to help military customers address unconventional and asymmetric warfare threats with the use of technology. CACI will also design, develop, fabricate, test, maintain and update systems, as well as provide complementary training to increase the branch’s ground SIGINT capacity. The contract represents new and continued work for the firm’s command-and-control and intelligence systems and support businesses.